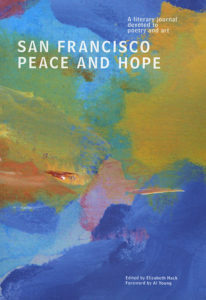 Nathalie was asked to participate in the first and second publications of the literary journal San Francisco Peace and Hope with her paintings Yellow Noe, Spheres on Potrero, and Nothing is as Straight as it Seems. 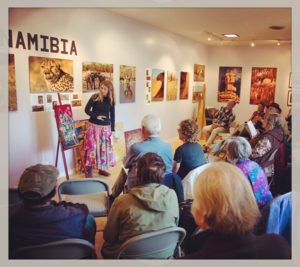 This year, she was invited to give a talk about her work during the 2017 Peace and Hope Fest. See the online version for book one. See the online version for book two.